How can I contact Creative Coffee for inquires, comments or request a specific item? You can contact us by email order@creativecoffee.ca. We will be happy to help and we will respond as quickly as possible. Browse through all our large selection of coffee products online catalog! Add all items you wish to purchase to the shopping cart. Once you have completed your selection, proceed to the checkout section where you can choose your payment options. An order confirmation will be provided to you via e-mail once your purchase. Absolutely! The SSL protocol (Secure Socket Layer, securing all exchanges on the Internet) is used for the full protection of the clients information during his passage through the ''shopping cart'' so that your information remains confidential. We accept all major credit cards securely on our site. With the industry's most-advanced encryption, fraud prevention, and buyer protection policies, you can purchase with confidence. What currency are the prices listed on Creative Coffee? The listed prices are in Canadian (CAD) currency. Visa, MasterCard, American Express, Visa Debit and PayPal. NO......you place an order directly or you can created an account to place an order. By opening an account, you will be able to access your history, edit information, track you orders and receive promotional information. I entered the wrong information when creating my account, how do I make corrections? To edit the information on your account go to My Account and click on Edit Customer Info to make the necessary changes. I have forgotten my password, can you help me? Unfortunately, we do not have access to this information. By clicking on "Forgot your Password? ", an automatic response will be sent to your e-mail with your password. Sign onto your account and select the order number under Order History. The status of your order will be updated as we proceed with your order. Can I make changes or cancel my order once completed? Yes, as long as the package has not been sent. For any changes to your order, please sent to order@creativeCoffee.ca as soon as possible! What happens if one of the items ordered is not in stock? If an ordered item is currently out of stock we will contact you ASAP with the delay time. You will be provided the option to replace the item or have your money refunded. Are there taxes on the products? 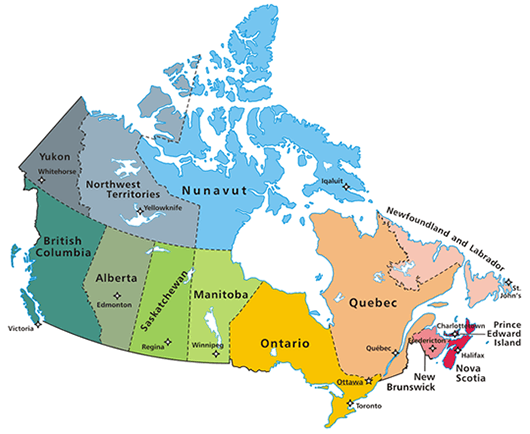 GST, PST and HST Taxes will be applied depending on which Province you reside. Please note: NO taxes are applied to coffee. We do not take phone orders. Orders are placed online ONLY on our secure site and are cleared instantly. Orders are processed same day with No minimum order. The SSL protocol (Secure Socket Layer, securing all exchanges on the Internet) is used for the full protection of the clients information during his passage through the ''shopping cart'' so that your information remains confidential. We accept all major credit cards securely on our site. With the industry's most-advanced encryption, fraud prevention, and buyer protection policies, you can purchase with confidence. We will gladly accept any returns or If for any other reason you are not satisfied with your purchase, less shipping and handling fees (our actual cost to send you the goods.). You will need to send us back the package prepaid. If you had free shipping with your order and return any items you will be charged the exact shipping amount we paid to ship your order. Items must be in new and unused condition, with it's original packaging. It can be returned within 90 days of purchase date with a Return Merchandise authorization number (RMA#). We are unable to accept unauthorized returns. In order to return any items you must email us at order@creativecoffee.ca to obtain a Return Merchandise Authorization number ( RMA# ) and instructions on where to send the package back to us. We will also need to know why the item is being returned. You will need to supply us with your name and order number. Allow 7 days before inquiring about return credits. Please clearly mark the return authorization number on the outside of your returned box. Important Note: Please make sure to keep all original boxes of the purchased item, along with the packing materials. You will need them in the event of returns or warranty issues. If you believe your item is having functional problems, you must contact us within three (3) business days from the date you received the merchandise. Problems due to a manufacturing defects are covered under a manufacturer warranty. The item will have to be sent back to us, to be verified by a qualified technician. Creative Coffee and the manufacturer will determine the cause of the problem and decide to repaired or replaced the item. You must email us at order@creativecoffee.ca for a return authorization number (RMA#) request and instructions on how to send the product back to us. Espresso coffee is about 25 to 30 ml with a brown "crema" oil surface 3 to 4 cm thick. It is considered a strong coffee taste. When making espresso, use espresso cups and pre heat them for a better cup of coffee. Drink the espresso as soon as possible after it is made. Make an espresso in a coffee cup with the capacity of about 165 to 180 ml. Heat the fresh cold milk to the state of frothing. Put the hot frothing into the cup with the proportion of 15% coffee and 85% milk. Spray some chocolate powder or clove powder according to you own favorite. Make an espresso in a big coffee cup with the capacity of about 220 to 250 ml. Cover the surface with a little frothing. Make an espresso in a big coffee cup with the capacity of about 220 to 250 ml and mix with 30ml of chocolate syrup. Make an espresso in a cup with double capacity of espresso coffee cup 100 to 120 ml. Add two spoons of fine frothing on the surface. Pour hot water into your mug or glass to take the chill off. Then pour out the water. This will also prevent your glass from cracking. Fill your glass about three-quarters high with the coffee. Stir until it is fully dissolved. Add Tia Maria or Brandy.